BARRINGTON, ILLINOIS--(Marketwired - Oct. 7, 2014) - Expert System US, Inc., a leader in semantic technology, and WAND, Inc, the leader in the development of enterprise taxonomies, today announced a partnership that will enable businesses to implement a simpler, more accurate organization of data and documents. Taxonomy selection: WAND offers the biggest library of out-of-the-box taxonomies available on the market today. By selecting one of the available sector specific taxonomies, customers can speed up significantly their implementation time without compromising their specific classification requirements. Automatic Classification based on the selected taxonomy: once the customer chooses the taxonomy, Expert System makes a full set of tools available to define the semantic based categorization rules and the engine that enables the automatic categorization of all the enterprise content. Native integration with the most common document and collaboration systems, including Microsoft SharePoint. The combination of the strengths of each company, on one side WAND's unique expertise in the development of enterprise taxonomies and Expert System's Cogito on the other side with its unique capability to analyze written text based on the comprehension of the meaning of each word, not only ensures the highest quality possible, but also opens up the opportunity to tackle the complexity of enterprise information management. With this new joint offer, companies will finally have full support for a faster and flexible information management process and immediate access to strategic information. Expert System is a leader in semantic technology and the creators of the patented Cogito semantic technology. Cogito is based on an advanced semantic analysis engine and a complete semantic network, enabling the deep understanding of any type of text with speed and precision. Cogito exceeds the limits of conventional keyword technology and provides more effective management of the growing volume of information companies manage, turning it into accessible, usable knowledge. The products and solutions based on Cogito offer a complete set of features including: semantic search and natural language search, text analytics, development and management of taxonomies and ontologies, automatic categorization, extraction of data and metadata, and natural language processing. Expert System is headquartered in Chicago, with locations in Menlo Park, California and Washington, D.C. Since 1983, WAND has developed multi-lingual taxonomies to improve the way our clients search and organize unstructured and semi-structured information. WAND is the premier source for industry vertical taxonomies, business taxonomies, and specialty domain specific taxonomies. The breadth and coverage of WAND's taxonomy library is unmatched, and, for years, WAND Taxonomies have been used by thousands of companies around the world to organize information. WAND's taxonomy professional services practice offers taxonomy development and customization, taxonomy mapping, and data classification services. Our professional services team makes sure that our clients are successful when deploying taxonomies. In less than one week, we'll be exhibiting at SharePoint Fest Denver on September 22-24 at the Colorado Convention Center. Come by our booth and see the WAND Taxonomy Library Portal for SharePoint and talking about how WAND is helping our customers speed up the process of bringing high quality taxonomies into the SharePoint term store. We have just published a brand new white paper called "Building the Business Case for Taxonomy"
This WAND white paper makes the case why companies should be investing in search and information management. to improve overall productivity and utilization of information assets. From there follows a discussion of why taxonomy is one of the critical components to effective information management. People often want an easy example of the benefit of taxonomy. An Auto Trader commercial from a few years ago, called "Woosh!" illustrates the idea perfectly. In the spot, the customer is able to quickly search through a large volume of cars by identifying the attributes or metadata that are important for his buying decision. This search is driven by robust automobile taxonomy and metadata classification. In this spot, the customer initially does a keyword search for "car". Thousands of results woosh into the screen. Next, he filters the results by the metadata value "Convertible" and then by "Red" and finally by "less than 15,000 miles" to find the single car that is a fit for him. As it ends, he is doing a new search for "Loans". This commercial demonstrates how Auto trader invested in their metadata because it helps customers find the right product as quickly as possible so they can make a purchase. Creating a taxonomy can enable the very same experience for enterprise content. The common, normalized language provides the set of metadata or tags that can be applied to documents. Enterprise content is then tagged with the taxonomy metadata, giving users the ability to quickly filter to the right content after doing an initial keyword search. Imagine doing a search for "Product XYZ" then being able to filter those results by "Repair" and "Engine" and having the correct document whoosh on to your desktop. Finding the right enterprise content doesn't correlate directly to a new sale, to be sure, but it is does ensure that employees are efficient and have the right information to do their jobs. In fact, according to a 2013 Findwise Enterprise Search and Findability Survey, 78% of respondents said that finding the right information is either critical or imperative to their organization's business goals and success. If you want to add some woosh to your enterprise content, taxonomy is a necessary investment. Learn how the WAND Taxonomy Portal can help add Woosh to your content. WAND has confirmed that we'll be exhibiting at SharePoint Fest - Denver on September 22-24 at the Colorado Convention Center. We'll be showing off the WAND Taxonomy Library Portal for SharePoint and talking about how WAND is helping our customers speed up the process of bringing high quality taxonomies into the SharePoint term store. Our newest taxonomy release, available today, is the WAND Environmental Taxonomy. This taxonomy covers the Natural Environment, Natural Resources, Environmental Management, Environmental Law, conservation, climate change, pollutants, and more. 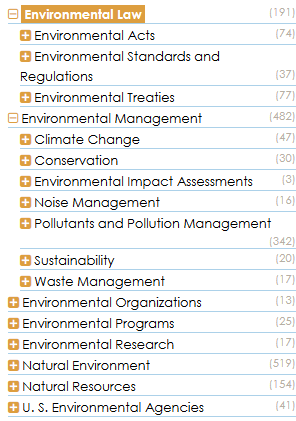 The WAND Environmental Taxonomy includes 1,487 terms and 436 synonyms. Being environmentally conscious is important for every company - customers expect it. This taxonomy be a critical component to tag and organize content related to its environmental or climate related programs. We are pleased to announce the release of the WAND Intellectual Property Taxonomy. The WAND Intellectual Property Taxonomy includes 706 terms and 246 synonyms. 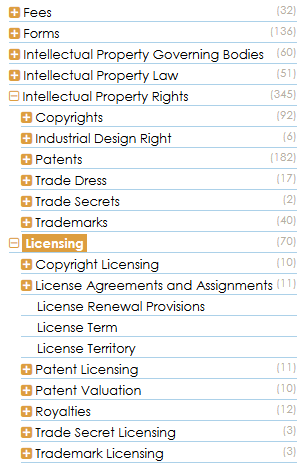 The Taxonomy covers the topics of Copyrights, Patents, Trademarks and Trade Secrets and more. The WAND Intellectual Property Taxonomy is perfect for any organization where intellectual property is important. Documents and content related to IP can be tagged and organized more effectively with this taxonomy. This taxonomy would also be a great fit, in companion to the WAND Legal Taxonomy, for a law firm with an IP practice. As always, visit our website to learn more about the WAND Intellectual Property Taxonomy and to inquire about pricing, formats, and licensing. The latest addition to the WAND Taxonomy library is the WAND Procurement Taxonomy, comprised of 145 categories and 124 synonyms. 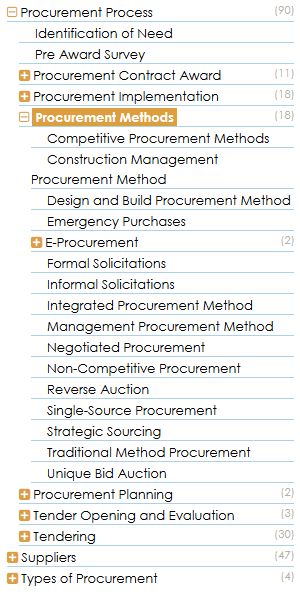 Procurement is an important operational function for any organization and this taxonomy is ideal for tagging and organizing documents and content related to the procurement process. This taxonomy includes terms related to procurement process, procurement implementation, procurement methods, procurement planning and tendering. Also covered are suppliers including approved suppliers list, qualifying suppliers, supplier communication, evaluation and standards, as well as the types of procurement. Visit our website to learn more about the WAND Procurement Taxonomy. Denver, CO, USA --- WAND, Inc., the world’s leading provider of taxonomies, today announced the launch of its WAND Taxonomy Library Portal. The WAND Taxonomy Library Portal provides an unprecedented resource to help companies who are developing a taxonomy strategy. Taxonomy is a critical element for a cohesive information management strategy across an enterprise. 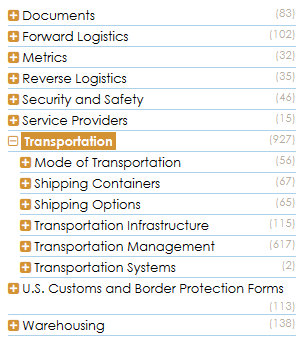 Users can browse through WAND Taxonomies to identify and download the specific taxonomies components needed. Multiple download formats are supported. The WAND Taxonomy Library Portal helps companies maximize the return on investment in information management applications by taking full advantage of the taxonomy capabilities of these applications. 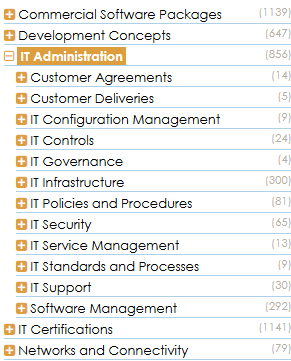 WAND’s taxonomies cover almost every industry vertical segment as well as business operations common to any company. Topics include Accounting, Auto Parts, Banking, Building and Construction Management, Chemicals, Environmental, Finance & Investment, Foods & Beverages, Higher Education Human Resources, Industrial Equipment, Insurance, IT, Intellectual Property, K-12 Education, Legal, Local Government, Manufacturing, Medical Equipment & Supplies, Mining, Non-Profit, Oil & Gas, Personal Care, Procurement, Products & Services, Project Management, Real Estate, Records Retention, Retail, Sales & Marketing, Scientific & Technical Equipment, Sensory, Skills, Sentiment, Travel, and Utilities. WAND will be exhibiting at the Microsoft SharePoint Conference in Las Vegas from March 2-6. Drop by booth 1418 to see a demo of the WAND Taxonomy Library Portal which is helping companies create a taxonomy strategy for SharePoint 2010, SharePoint 2013, and SharePoint Online. 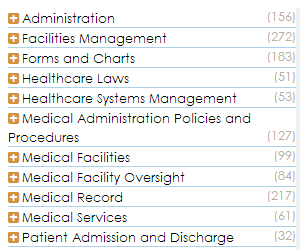 One mission at WAND is to make taxonomies available to our customers for organizing unstructured information. Another important mission is to find ways to make taxonomy easier to use. •Export data in a variety of formats to suit a preferred content management system or e-commerce system. The WAND PIM is a SaaS solution that can quickly be deployed with minimal IT resources. We are designing this solution for retailers, manufacturers, and distributors who have need normalized product information for websites, marketing collateral, inventory systems, and more. The WAND PIM can be enhanced by professional services from WAND to assist with template customization, product classification, attribute collection, and data format creation. The latest addition to the WAND Taxonomy library is our brand new WAND Retail Taxonomy. The WAND Retail Taxonomy is a comprehensive taxonomy that covers physical stores, eCommerce, inventory, merchandising, retail policies, payment processing, compliance, retail services, and more. The WAND Retail Taxonomy includes 1,359 terms and 388 synonyms. This taxonomy is ideal for not only for “Bricks-and-Mortar” stores, but for eCommerce Stores and “Bricks-and-Clicks” stores. 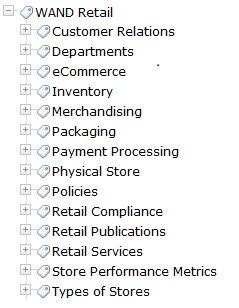 The WAND Retail Taxonomy is specifically designed to cover business processes, concepts and documents important to a retailer. The WAND Retail Taxonomy should be combined with the WAND Sales and Marketing Taxonomy which includes the marketing, advertising and public relations terms that are important to the retail business. From this strong starting point, the taxonomy can be customized to cover any retailer specific terminology or needs. For a retailer who is looking to add taxonomy and attributes to its online website to improve product search and conversion, the WAND Product and Service Taxonomy is a great option. To see all the taxonomies available from WAND, visit http://www.wandinc.com/taxonomies.aspx.